Grey Trace (Logan Marshall-Green) has to adapt to an exciting and terrifying new way of life when he is fused with a computer chip called Stem. The chip is planted in his brain and in one simple command it can control the entirety of Grey’s body, giving him the strength and power to do almost anything he wants. 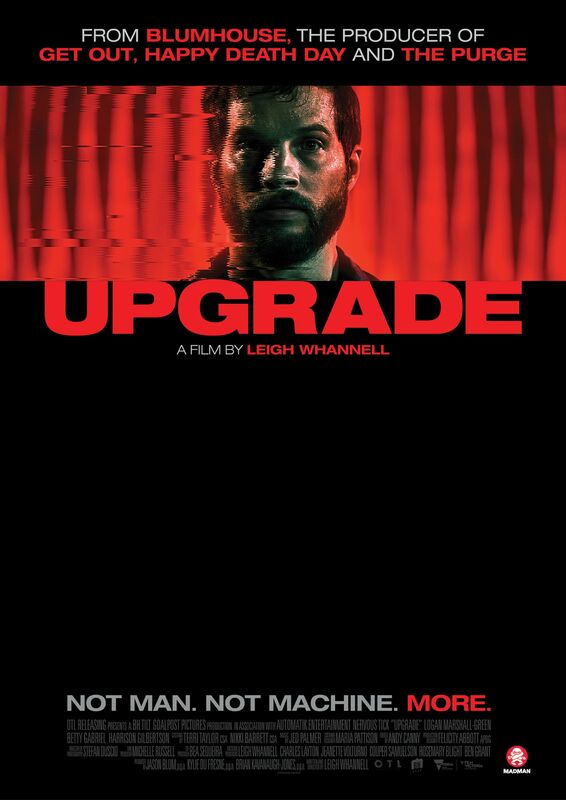 From director Leigh Whannel, Upgrade is what you get when you let one of the creators of Saw and Death Sentence combine the two to create a dazzling fusion of futuristic, violent revenge. 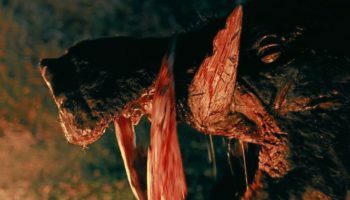 It’s equally as sophisticated as it is gloriously gory, showcasing a visual display that seems impossible on its measly $5 million budget. You’ll feel every punch and love every second, eager to see Grey put a grisly end to those who have wronged him. From its to its hypnotic and pulsing soundtrack to its unbelievable moments of exquisitely choreographed combat, Upgrade is an action-horror treat that you’ll want to watch immediately after you’ve seen it. Grey is a self-proclaimed hater of technology, criticising self-driven cars and expressing a hatred of intelligent computers. Thus, he is the perfect man to be fused with the smallest, smartest computer of them all. 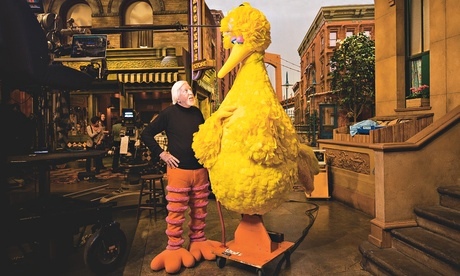 He becomes a symbol for the clash of humanity and technology, where only one can win. 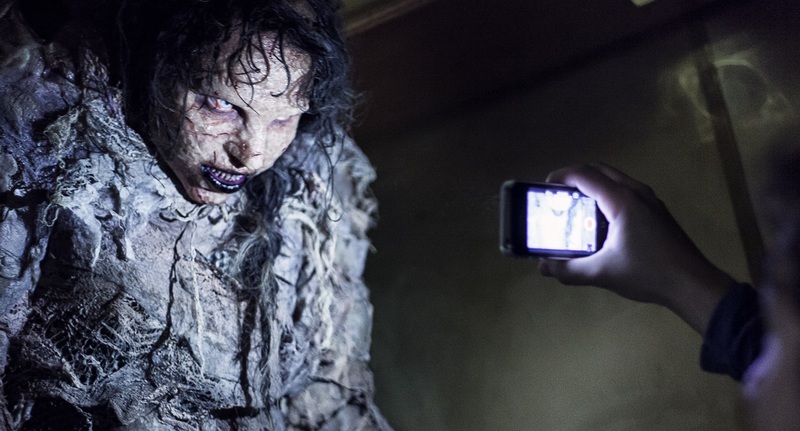 The film is a warning for society’s future and what could happen if technology gets out of control. Sure, the potential of being a badass ninja (sort of) is the ultimate cool and almost worth the fall of life as we know it, but in Upgrade there is an important and familiar, underlying reminder that creating something bigger than yourself and playing god, will have dangerous repercussions. 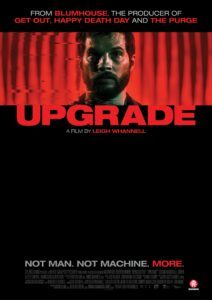 Upgrade oozes a contagious confidence as it grips you by the throat, straps you in and takes you for a ride that you’ll never want to get off of. 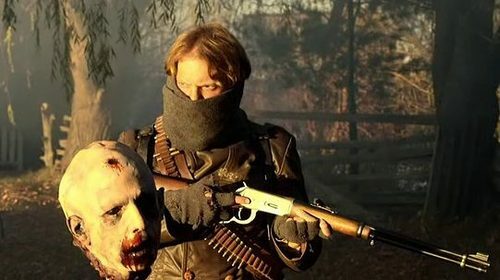 There are plenty of surprises and even if you’ve seen the trailers, you’ll be pleased to learn that there’s a lot more to this story than the marketing suggests. 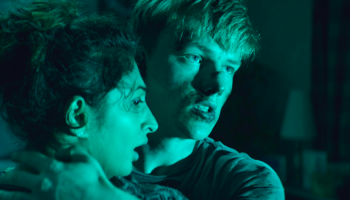 What ensues is a complete blast, a perfect combination of sci-fi horror and well-timed humour. The first scenes where Grey realises his new abilities are bone-crunching for his victims and a joy for us. Marshall-Green brilliantly and hilariously conveys a man who is confused and terrified, shocked and excited about his new life and the possibilities it has opened up. Upgrade is one of the best films of the year and it would be criminal to miss it. It’s stylish as hell and an example of a film that can wear its inspirations on its sleeve and still succeed as an excellent addition to an overflowing genre. [Associate Features Editor] Film Studies Grad, constant procrastinator and horror aficionado. Tweeting endlessly as @JessyCritical.